Dr. Cohen is an incredible doctor who listens carefully and thoughtfully offers options and suggestions. He is someoneyou can be open with, without feeling ashamed or embarrassed. A true professional. Dr. Cohen is an incredible doctor who listens carefully and thoughtfully offers options and suggestions. He is someone you can be open with, without feeling ashamed or embarrassed.A true professional. I really liked his calm and friendly attitude. I only had one session so far but looking forward to the secondappointment. He doesn't take insurance and it will make it hard for me to see him for long but so far pretty good experience. I really liked his calm and friendly attitude. I only had one session so far but looking forward to the second appointment. He doesn't take insurance and it will make ithard for me to see him for long but so far pretty good experience. 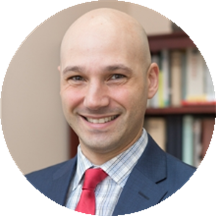 Ziv E. Cohen, MD, is a board certified psychiatrist on the faculty of Cornell and Columbia Universities, and is on staff at New York Presbyterian Hospital. Dr. Cohen's private practice near Columbus Circle offers comprehensive, cutting edge treatment for mood and anxiety disorders. In addition to psychopharmacology and psychotherapy, Dr. Cohen offers Transcranial Magnetic Stimulation, a non-invasive, medication free alternative treatment for depression. He also offers Ketamine, a cutting edge psycho-pharmacological approach to treating depression. Dr. Cohen has served as a hospital psychiatrist and in the emergency room. He has has extensive experience treating a range of areas such as attentional problems, trauma, substance use/addiction, relationship problems, and career goals. Dr. Cohen is a skilled psychotherapist and psycho-pharmacologist. Dr. Cohen has served as a military psychiatrist, treating soldiers and officers facing trauma and stress. He brings his military experience to helping individuals facing trauma and stress in a wide range of areas. He has served as a hospital psychiatrist and in the emergency room. Dr. Cohen treats addictions, and is authorized to prescribe suboxone (buprenorphine) for opioid dependence. He is a Fellow of the American Psychiatric Association, and a member of the New York Academy of Medicine. He is President of the American Society for Adolescent Psychiatry and sees patients thirteen and older. Smart guy and pretty easy to talk to, but was unable to make me feel comfortable coming back. 1) He personally charged me which just felt weird (most doctors I've been to have a front desk that takes care of it).2) He charged me before the appointment started right after introducing himself (not sure if this is industry standard) which also felt weird. Great listener and insightful. Seems immediately trustworthy. He really takes the time to understand what you're going through and answer your questions. He's extremely knowledgable and puts you at ease right away. competent, ethical and caring doctor. He called me multiple times to make sure I knew my out-of-network coverage and during our session took the time to listen but also pushed me to examine complex thoughts/relationships. Professional and courteous, would highly recommend.